Most diverse Oscar noms ever! 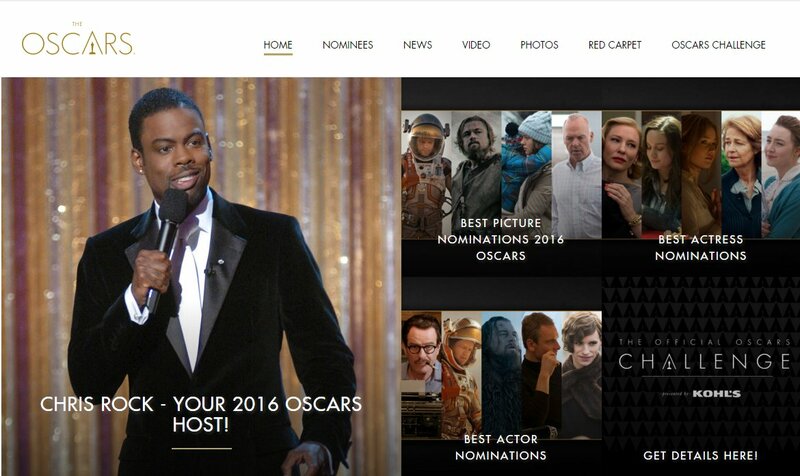 No more "#OscarsGoWhitely"or "#OscarsSoWhite"
Yes, I am hosting the Oscars. This is not a prank. And if it is, my revenge on @TheAcademy will be terrible & sweet. Thx to @alsformalwear — Jimmy Kimmel (@jimmykimmel), TV host, producer, writer, comedian, voice actor; December 5, 2016, On hosting The 89th Academy Awards (2017 Oscars). 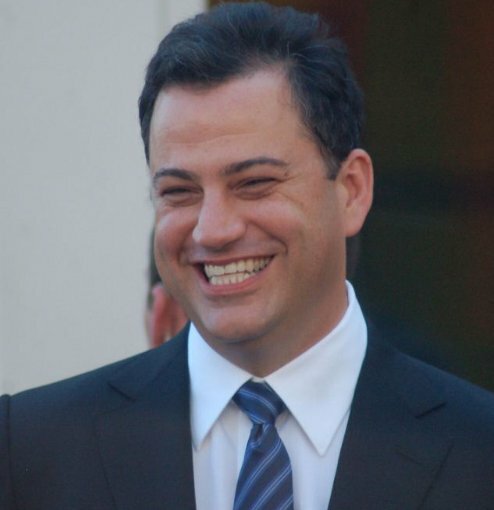 Photo left of Jimmy Kimmel smiling from Wikipedia by photographer Andrea George created September 4,2012 during a ceremony for Ellen DeGeneres to receive a star on the Hollywood Walk of Fame. Excerpts fromChris Rock's opening Monologue hosting the 77th (2005) Oscar Academy Awards. "...So ...Great night tonight. We have 4 black nominees...Kinda like the deaf Oscar jam tonight ... You know why I love the Oscars. Cause the Oscars are the only awards show where the people nominated don't really perform...There's no acting at the Oscars ...The only acting you see at the Oscars are when people act like they're not mad when they lost...Like I remember one year when Halle Berry won the Oscar Nicole Kidman was smiling so wide she shoulda' won an Emmy at the Oscars for her great performance ...See at least they make white movies for people to enjoy ... real movies with plots ...with actors not rappers ... with real names like "Catch Me If You Can," "Saving Private Ryan," ... black people movies don't have real names ... you get names like "Barbershop," that's not a name that's just a location ... "Barbershop," "Cookout," "CarWash," ... they've been making the same movies for 40 years. That's right you know laundromat is coming soon. And after that check-cashing place." ~~ Chris Rock (Christopher Julius "Chris" Rock III) actor, comedian, voice artist, director, writer, and producer, excerpts from him while hosting the 2005 Oscar Awards (77th). The 89th Academy Award (Oscar) 25-category nominations were announced live on January 24th by Jennifer Hudson and Brie Larson along with Oscar nominees Jason Reitman and Ken Watanabe and Oscar-winning cinematographer Emmanuel "Chivo" Lubezki. The 89th Oscars® LIVE OSCAR SUNDAY will be broadcast live from Hollywood's Dolby Theatre on Sunday, Feb. 26 at 7 p.m. EST on ABC Television Network, and will be televised in more than 225 countries. Here is a listing of key Academy Announcements for the 89th Academy Awards (or copy/paste this link http://www.oscars.org/news/academy-announces-key-dates-89th-oscars). Films with the most nominations are “La La Land” (14 nominations, 13 categories) with no other films coming close. Arrival and Moonlight tied for 2nd with 8 nominations each. As everyone expected, Meryl Streep received her historic 20th nomination for her role as Florence Foster Jenkins, despite President Donald Trump dubbing her as an "over-rated" actress. Funnyman, Jimmy Kimmel, host of Jimmy Kimmel Live will host his first Academy Award Oscars® @AcademyAwardHD @Oscars_Live @AwardsOscarsTV #Oscars2017 this year. Kimmel is no stranger to the #Oscars® as he has hosted his annual Jimmy Kimmel Live: After the Oscars specials for years. Not surprising, La La Land has the most Oscar nominations at 14 ~ in the league with Titanic, which received 11 Oscars in 1997 and All About Eve with 6 Oscars in 1951. Gone With the Wind had 13 nominations and won 8 Oscars in 1940. As in 2014 and 2013, there are 9 nominees for best picture 2017 (2016 and 2015 had 8). There is good news this year with the most media-worthy is that Meryl Streep is nominated for the 20th time and there are diverse nominations across many categories. So #NoMoreOscarsSoWhite or #OscarsGoWhitely. I don't understand why Amy Adams wasn't included in the nominations for Arrival. Picture: My pick, La La Land, of course. WINNER:"TBA"
Actor in a Leading Role: This is a tough one. There are 3 who can win this Manchester's Casey Affleck, La La Land's Ryan Gosling and Fence's Denzel Washington- I picked Ryan Gosling on Oscar Challenge. WINNER:"TBD"
Cinematography: My pick, La La Land. "WINNER: TBA"
Costume Design: Fantastic Beasts and Where to Find Them, Jackie or La La Land; Changed my pick to La La Land. WINNER: "TBA"
Directing: My pick, La La Land's Damien Chazelle. WINNER: "TBA"
Documentary Feature: Hard to decide, depending if political correctness determines, 13th or O.J. : Made in America could win; my first pick was Life Animated but changed to OJ: Made in America. WINNER:"TBA"
Documentary Short Subject: My pick, Joe's Violin. WINNER:"TBA"
Film Editing: My pick, La La Land. "TBA"
Foreign Language Film: Another touch one, toss up between Toni Erdmann or The Salesman, I picked The Salesman. WINNER:"TBA"
Makeup and Hairstyling: I keep changing my mind from Star Trek or A Man Called Ove but now I have changed it back to Star Trek. WINNER:"TBA"
Music (Original Score): My pick, La La Land. WINNER:"TBA"
Music (Original Song): My pick, La La Land, Audition or City of Stars. "TBD"
Production Design: My pick, La La Land. WINNER:"TBA"
Short Film (Animated): Could be Pearl but I picked Piper. WINNER:"TBA"
Live Action Short Subject: Could be either Silent Night, Timecode or Sing, I picked Timecode on Oscar Challenge. :"TBA"
Sound Editing: Hacksaw Ridge, Arrival or La La Land; I picked Arrival on Oscar Challenge. WINNER:"TBA"
Sound Mixing: Could be Arrival but I picked La La Land. WINNER:"TBA"
Visual Effects: Could be Dr. Strange or The Jungle Book but I changed back to The Jungle Book. WINNER:"TBA"
Writing (Adapted Screenplay): Moonlight or Hidden Figures; I chose Moonlight on Oscar Challenge. WINNER:"TBA"
Writing (Original Screenplay): My pick, La La Land. WINNER:"TBA"